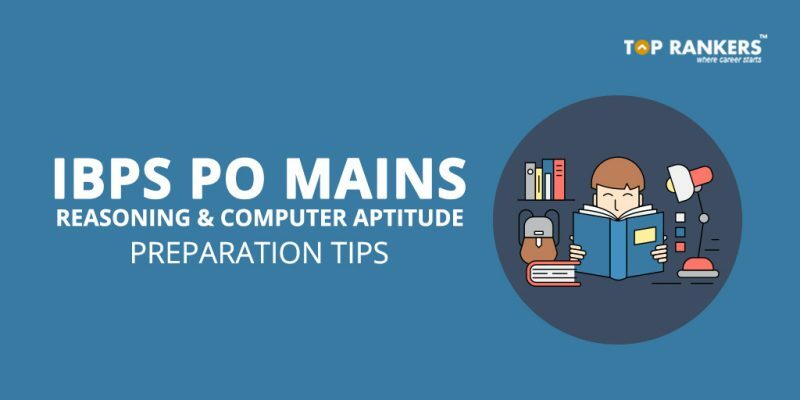 IBPS PO Mains Reasoning and Computer Aptitude Preparation Tips – Learn how to solve IBPS PO Mains Reasoning and Computer Knowledge section. Hi people! Are you preparing for IBPS PO Mains exam 2017? If yes, we have got good news for you. In this post, we have compiled a list of amazing tips and strategies for you. We are sure that these will help you in the exam. IBPS PO Mains Reasoning and Computer Aptitude Preparation Tips – The IBPS PO Mains exam will take place on 26th November 2017. And as you can see, you have got very less time to prepare. You need to core really good marks as these will be considered for preparing the final merit list. Reasoning & Computer Aptitude constitutes a major chunk of the exam. Puzzles include linear arrangement, circular arrangement, grouping and scheduling, and ordering and ranking. These take a lot of time to solve. So, you should practice plenty of puzzle questions. And observe and implement all the data given. Furthermore, you need to consider all the possibilities; and eliminate them gradually with each data. For coding & decoding questions, put the symbols and their meanings in a table to solve faster. Computer Aptitude section includes number systems, fundamentals of computer, and flowcharts. You can solve these easily if you practice a little. Attempt only those questions in which you are sure of the answers. Do not make guesses as there is negative marking. You can still make educated and calculated guesses sparsely. Finally, take as many Mock Tests you can. Analyze your performance to learn your strong and weak areas. Accordingly, focus more on your weak areas. Take another mock test to see if you have improved. You can always rely on our IBPS PO Mains Mock Tests; they’re prepared according to the latest exam pattern and format. So, tell us, did you find our post on IBPS PO Mains Reasoning and Computer Aptitude Preparation Tips helpful? Then, keep visiting us regularly for more preparation tips and strategies.